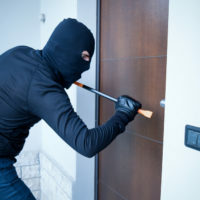 Though Florida’s statute on burglary is relatively straightforward, there is still a lot of confusion about what constitutes a violation of the law. In general, you can be arrested if you enter or remain upon certain types of property without the owner’s permission. However, there are numerous subtleties regarding the statutory definitions and degrees of the crime. Because the penalties for a conviction are harsher than you think, you should consult with a Florida burglary defense attorney regarding your case. It is also important to clear up some misconceptions about burglary charges. Commit any other criminal offense. Burglary charges only apply to occupied buildings: Florida’s burglary statute is broad on what constitutes a structure, dwelling, or conveyance. A structure means any type of building with a roof over it, whether the building is temporary or permanent. The language defines a dwelling as any building that is designed to be occupied by humans, even if there is no one inside. The term conveyance includes water craft, railroad cars, RVs, and many other forms of transportation. You could face burglary charges for entering or remaining in any motorized vehicle, including a car or truck. You can only be arrested if you forcibly break in: Burglary is entering or remaining without permission, so a prosecutor does not need to show that you used tools or force to break down a door. The key is consent of the owner and whether you intended to commit a crime inside. Plus, you do not even need to fully gain access to the interior of the structure to be arrested. If you made it halfway in a window with a part of your body, you could still face charges. Occupancy, because the law treats burglary as more severe if people are present. You cannot go to jail for burglary conviction: On the contrary, you most likely will be incarcerated for a burglary conviction since the offense is a felony. For a second or third degree felony, you face 5-15 years in prison. A conviction for first degree felony burglary could mean up to 30 years in jail. For more information or additional clarification on burglary charges, please contact attorney Kevin J. Kulik to schedule a consultation. We can review the facts of your case and get started on a defense strategy.